Strong and wear resistant hooks made of safe and durable material. The cage can be filled with about 15 kg of hay. The 4 x 4 cm small meshes make horses take a lot longer to eat their hay without eating more hay. 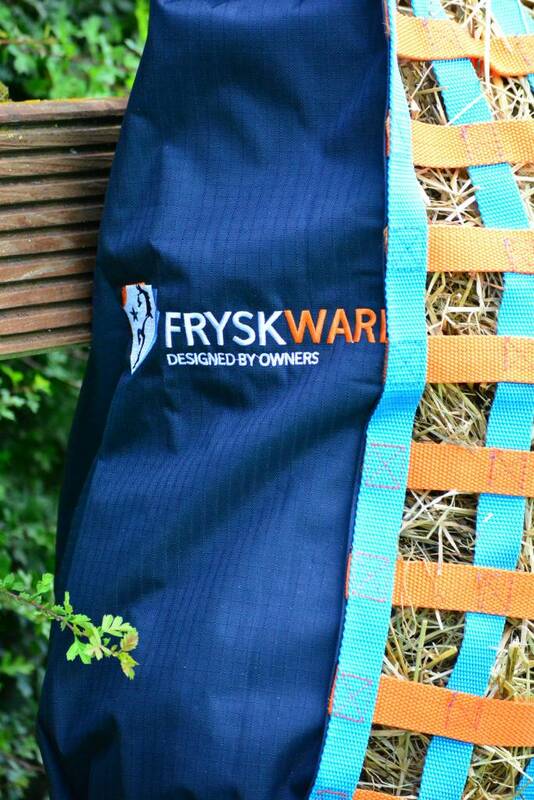 A safe way of avoiding waste of hay, boredom of your horse / pony and overtaking! This FryskWare Slowfeeder extends the food intake time of roughage. 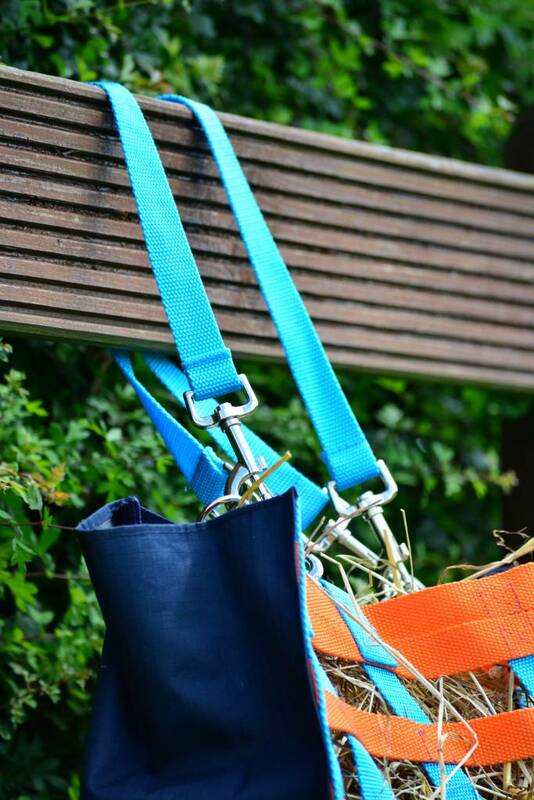 The FryskWare Slowfeeders are fitted with three straps and six solid carabiner hooks. It can be mounted everywhere; for example in the stable, in the paddock, in the meadow or in the trailer. The FryskWare Slowfeeders have been made of very best materials. Our test horse and champion hay net demolisher Akribat, who has demolished quite a few hay nets in the last few years, hasn’t been able to demolish the Slowfeeder! In nature horses graze all day long, which stimulates a healthy digestion, keeps pH-value of the stomach in balance and guarantees an optimum digestion. In the civilized horse world horses and pony’s may not have an empty stomach for more than 3 hours, otherwise they get complaints like a disturbed intake of nutrients, diarrhoea, stomach ulcers or colic. 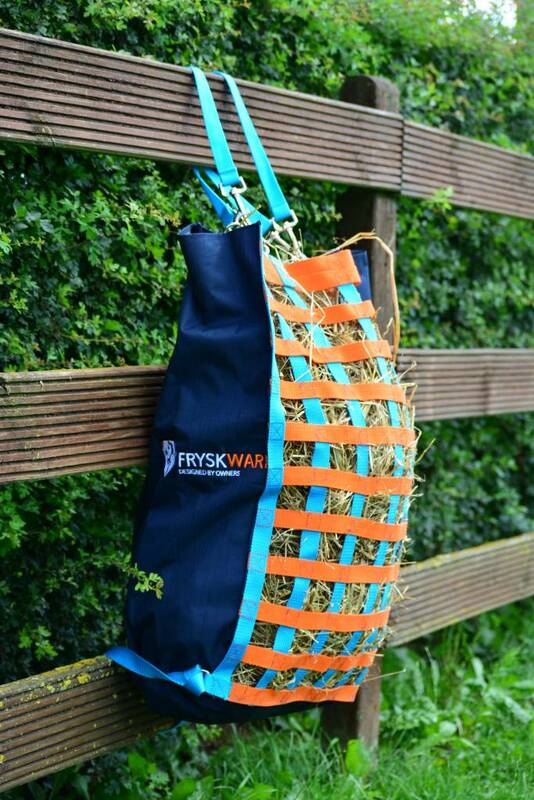 The FryskWare Slowfeeder can be used for greedy horses, in case of potential laminitis and insulin resistance. If you hang up several Slowfeeders your horse will automatically move from one Slowfeeder to the other and will have 24/7 access to roughage, guaranteeing a dosed intake.